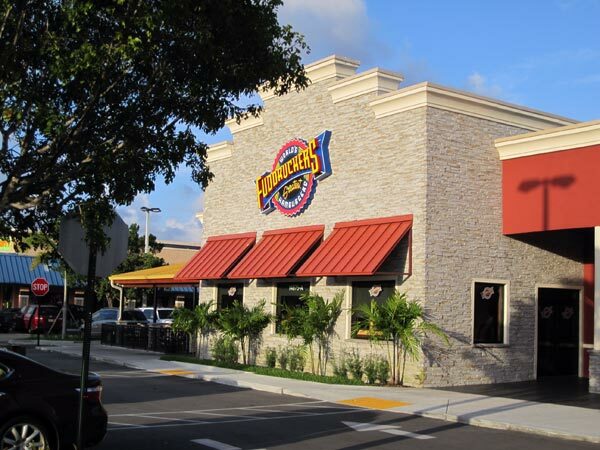 The newly opened Fuddruckers on US-1 and 147th Street recently had a fundraising night for Palmetto Bay's Howard Drive Elementary school. Owned by Pinecrest residents Berny and Marcello Montalvan, the already successful eatery wanted to give back to the local community. The idea was simple enough. 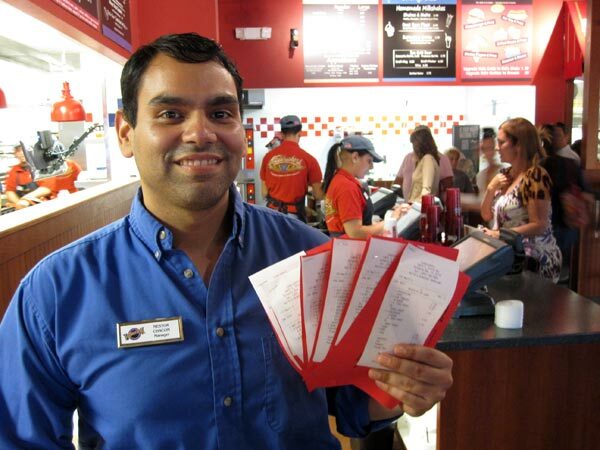 The PTA distributed red tickets to Howard Drive students and parents instructing them to eat at Fuddruckers on the night of October 23rd and turn in the ticket when placing their orders. "We staple the order receipt to the ticket and then we'll send 10% of the total bill to the PTA for use at the school," explained Shift Manager Nestor Chacon. "We are seeing great turnout so far. It should continue throughout the evening." Howard Drive fifth grade math and science teacher Julie Yngber brought her kids to Fuddruckers to support the fundraising event. "Not only am I a teacher, I'm also a parent of kids that go to Howard Drive. This is a great way to support our school. The funds will go back to the classrooms and our children." The evening raised a total of $240 for the school and the check will soon be presented to the Howard Drive PTA.